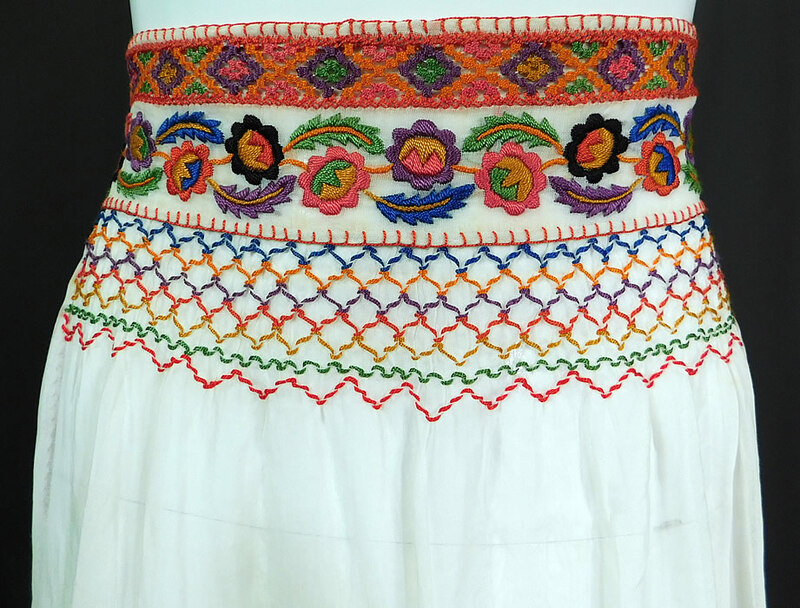 This vintage white cotton colorful floral embroidered smocking boho peasant half apron skirt dates from the 1920s. 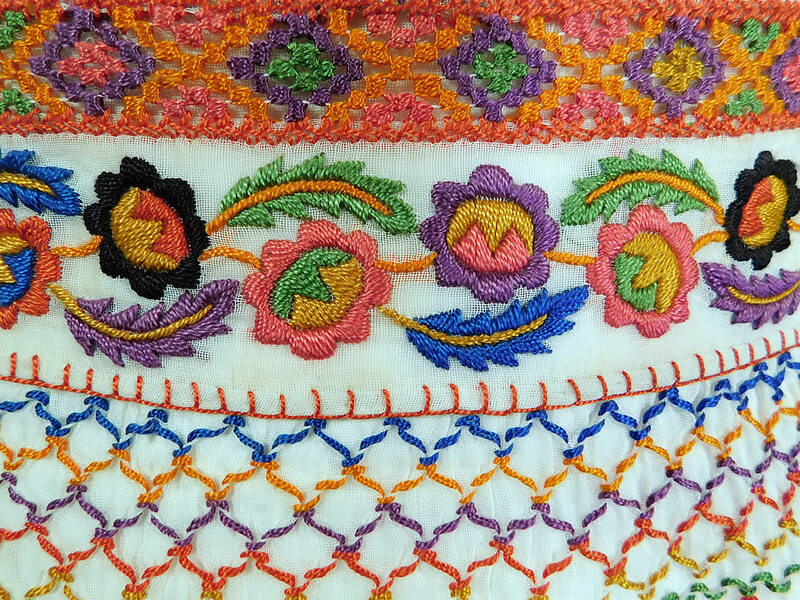 It is made of a sheer white cotton muslin fabric, with a colorful raised padded satin stitch hand embroidery work floral vine leaf design, multi colored diamond pattern lace trim, smocking stitching and red whip stitch edging. 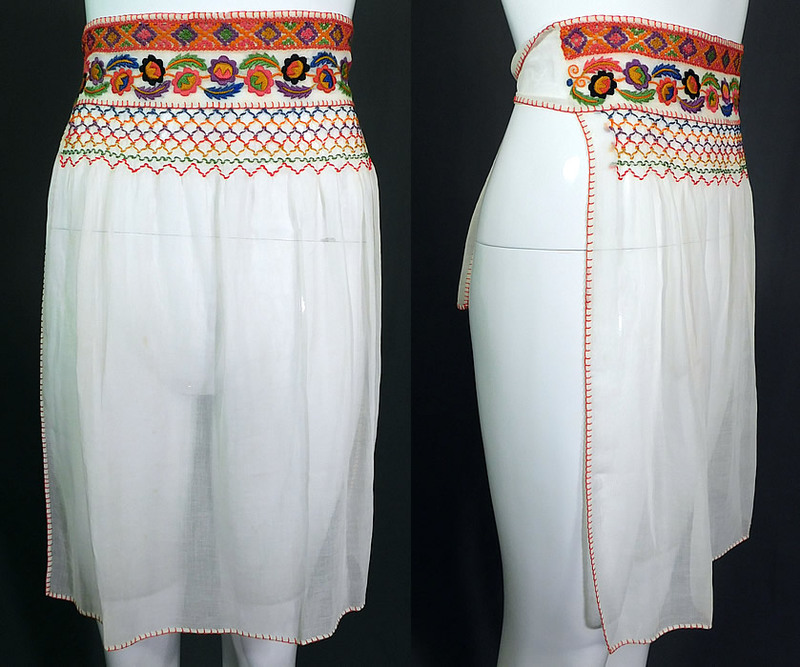 This pretty peasant bohemian Hungarian Czech folk costume half waist apron style skirt has a back waist tie strap closure and is sheer unlined. 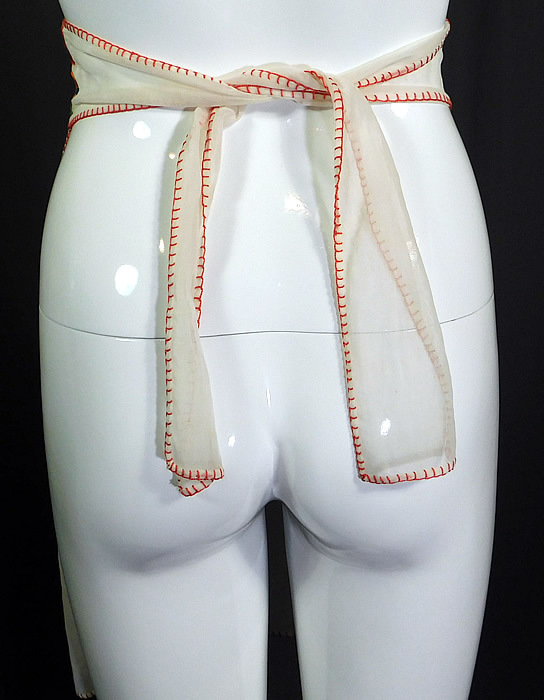 The apron measures 21 inches long, 19 inches wide and 46 inches wide across the top with waistband ties. It is in good condition, has not been laundered with only a few faint tiny age spot stains which are difficult to see. 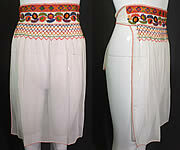 This is truly a wonderful piece of wearable bohemian peasant textile folk art!